When it comes to preparing desserts I tend to get a little intimidated. My homemade dessert typically comes from a box or an ice cream carton! I know most of you feel my pain, so I have set out to find easy homemade desserts that don't require a degree in culinary arts to prepare. The only way to learn is to try it, and that has been my motto. Surprisingly I have added numerous sinfully delicious recipes to my skill set. Chocolate fudge goes great with anything at any time. It is a timeless classic that our grandmother's great grandmother was making to quench that sweet tooth. Trust me when I say if they could see how easy this recipe is they would be in shock, fudge does not have to take hours of prep and fancy pots and pans. If it did I would have never attempted it! I don’t know what this is but it’s definitely not fudge! Tried it didn’t like it. 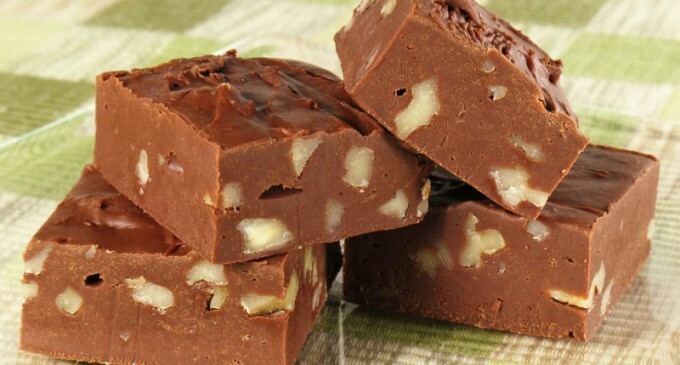 Any fudge recipe with sweetened condensed milk is not fudge. It’s just melted blah. Great with coconut in it..